The HPE SureStore DAT24x6 is an outstanding solution to the data protection issues faced by managers of small and medium-sized networks. It offers several reliability benefits over manual backup and its capacity can be scaled upwards as your business grows. With all the benefits of an autoloader the HPE SureStore DAT24x6 offers an entry-level automated solution as an alternative to DDS-3 single drives. In many organizations backup tapes have to be changed on a daily basis often at unsociable hours. The success of this process is subject to many factors for example full or defective tapes which cannot be fully controlled by network managers. With automation the number of operator tasks is reduced and therefore reliability is increased. The HPE SureStore DAT24x6 offers a 24GB cartridge for each of five working days plus one for cleaning. The HPE SureStore DAT24x6 is an outstanding solution to the data protection issues faced by managers of small and medium-sized networks. It offers several reliability benefits over manual backup and its capacity can be scaled upwards as your business grows. With all the benefits of an autoloader the HPE SureStore DAT24x6 offers an entry-level automated solution as an alternative to DDS-3 single drives. 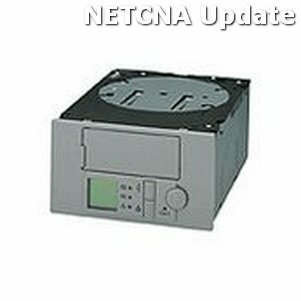 In many organizations backup tapes have to be changed on a daily basis often at unsociable hours. The success of this process is subject to many factors for example full or defective tapes which cannot be fully controlled by network managers. With automation the number of operator tasks is reduced and therefore reliability is increased. The HPE SureStore DAT24x6 offers a 24GB cartridge for each of five working days plus one for cleaning.